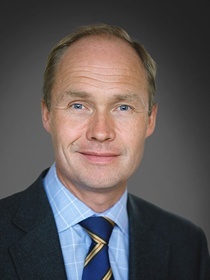 Jarl Dahlfors is the President and CEO of Loomis U.S. and Executive Vice President of Loomis AB, the parent company of Loomis U.S., since 2009. He started working for Loomis AB in 2007 as Group Chief Financial Officer (CFO) with prior experience as CFO of Attendo Group AB amongst other. Later this summer he will repatriate to Sweden after four years in Houston, Texas, and take on the position as the President and Group CEO of Loomis. Jarl wanted new challenges and that he got. “The U.S. operations were on the edge of bankruptcy when I arrived and I immediately had to roll up my sleeves and start putting out fires.” First priority was cutting costs, quickly. He immediately started to reorganize and flatten the organization. The biggest difference for him starting working in Houston was being without a network and long-term colleagues. “It was me and 8 000 American employees working for Loomis U.S.” In a position where he had to make difficult decisions and rapidly let employees go, which naturally churned up the organization, he was totally alone. 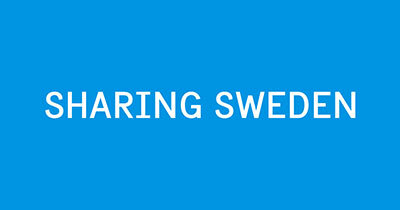 “In Sweden I had an established network with accountants, lawyers, colleagues and other useful connections, but in the U.S. I was completely alone, which was a challenge. In Jarl’s experience, it is much harder to establish a network when you are new to a country even though you know the language and are quite familiar with the culture than if you were a native. In the beginning of his assignment he felt as a complete alien and no one knew who he was. Comparing U.S. to Sweden his view is that it is easier for a newcomer in the U.S. to establish business and a network than in Sweden. He thinks some explanations can be found in that many large multinational companies are located in the U.S., which brings international expatriates making Americans more used to working with foreigners. We ask Jarl what differences he sees in the U.S. business culture compared to the Swedish and he answers that the myth about the many similarities between the Swedish and U.S. business cultures is false and must be put to rest. He says that many Swedish and European businessmen and women see the U.S. as one country in the same way that Sweden is one country. “That could not be more wrong. Considering that the U.S. is geographically very large, big discrepancies in the business culture are only natural.” This is something that has become obvious to Jarl over the last four years since Loomis actively is doing business in 46 of the 50 U.S. states and with the regional offices sometimes doing business in completely different ways. With that said his advice is to try to be open-minded and flexible to the environment you are doing business in. We ask Jarl to comment on recent studies showing Texas cities, Houston included, are progressively drawing more working professionals due to the advancing business culture, passing traditionally known corporate cities such as New York, Chicago and San Francisco. “I am not surprised at all since the business climate here is very good and it is easy to get qualified people. Also, Texas has low taxes, numerous Fortune 500 companies and a good geographical position. Within a two hour flight from Houston you have access to a majority of the U.S. business markets as well as South America. On top of that it is easy to live in Texas and the cost of living is low. Those are key factors for establishing good business.” Nevertheless, he is surprised to find himself living and working in a place where it all happens. He had not expected Houston and Texas to become a hot spot for business when he moved here in 2009. SACC-Texas wishes Jarl the best of luck in his new position as President and Group CEO of Loomis and thanks him for taking the time to meet with us. Loomis offers safe and effective comprehensive solutions for the distribution, handling and recycling of cash for banks, retailers and other commercial companies via an international network consisting of almost 400 branch offices in 16 countries. Loomis has 20 000 employees and annual revenue of 11 billion Swedish kronor. Loomis is a midcap listed company on NASDAQ OMX Stockholm, Sweden.